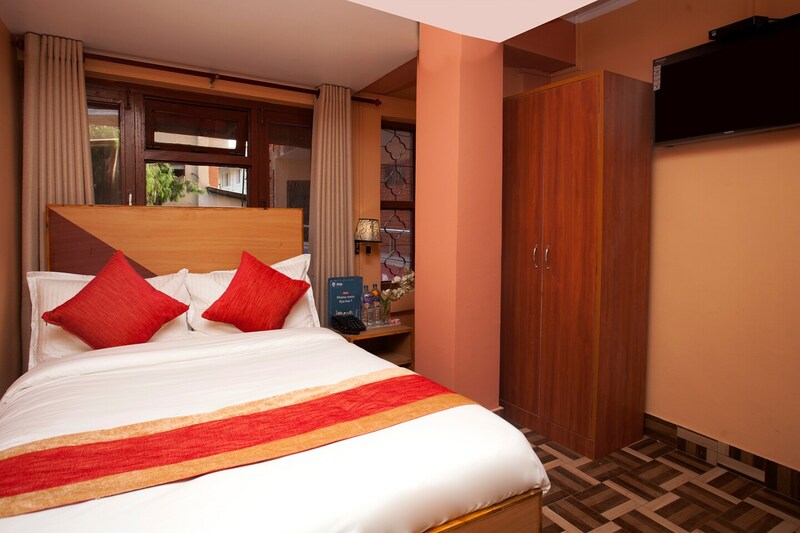 Hotel Beli Nepal offers premium hospitality and is located in Dhalko Marga. The hotel gives a homely vibe and offers fine services. The rooms are compact and well-equipped with basic and comfortable wooden furniture for a relaxing stay of the guests. The bathrooms are also well-maintained and equipped with basic necessities. The rooms are equipped with basic amenities. Free Wi-Fi service is offered here which can be used to stay connected with social media or to catch up with work. Guests dont need to worry about the security of their stay as CCTV cameras are installed in the premises. Laundry service, power backup and parking facility are also offered here for the convenience of the guests. Red Pulu Kisi House, Garden of Dreams, Maru Tole and Shree Pashupatinath Temple are some of the attractions located nearby for guests to explore while staying here.